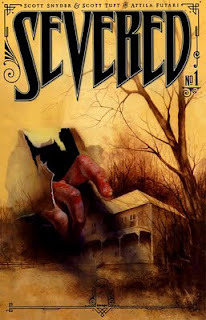 My random comic pick on The Comic Conspiracy: Episode 18 is Severed the new Image book written by Scott Snyder & Scott Tuft with art by Attila Futaki. Snyder is breaking away from DC and Vertigo to write this creator owned work with the help of Tuft and Futaki. This book takes the reader back to a simpler time in American history when a young boy takes to the road, but an evil man with razor sharp teeth and an inkling for human flesh is terrorizing those same roads. What is going to happen? From this issue it seems like we are just going to have read more to find out. Snyder and Tuft pen an excellent first issue that grabs the reader and pulls them into this darkness that was once found in old horror books, and Futaki's art adds an amazingly dark and rustic dynamic to this tale of dread that could just send a chill through your spine. Great read all around and I personally am not one for horror titles, but I highly recommend picking up Severed as it comes out in single issues. 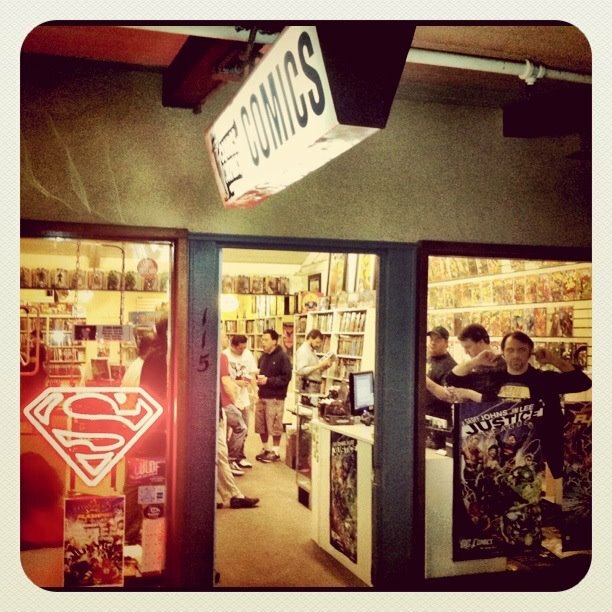 Remember Comics Conspiracy is a great place to order comics.